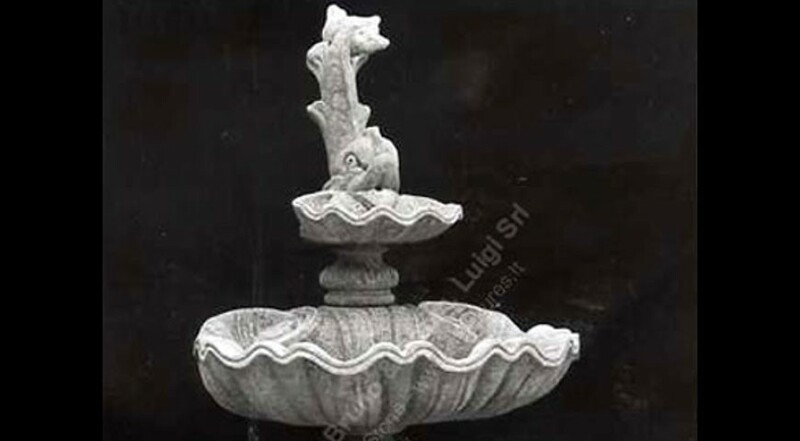 A carved stone 3 tiers wall fountain with shells bowl design. The bowls have a particular shell design, carved in the stone. Good water effect from bowl to bowl. The large with ovuli design, other little bases with leaves decoration. On the top a dolphin sculpture drilled for water, nice cascade effect.